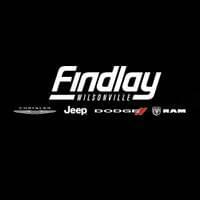 Get Mopar® parts and accessories near Portland right now at Findlay CDJR Wilsonville! The parts department at Wilsonville Jeep Ram Wilsonville has a full stock of Mopar® parts on hand at all time, and our CDJR service department uses Mopar® parts when working on your vehicle. Make the drive from Gresham to our dealership in Wilsonville today, and make sure to check out our current coupons for special offers on parts, accessories, service, and more!